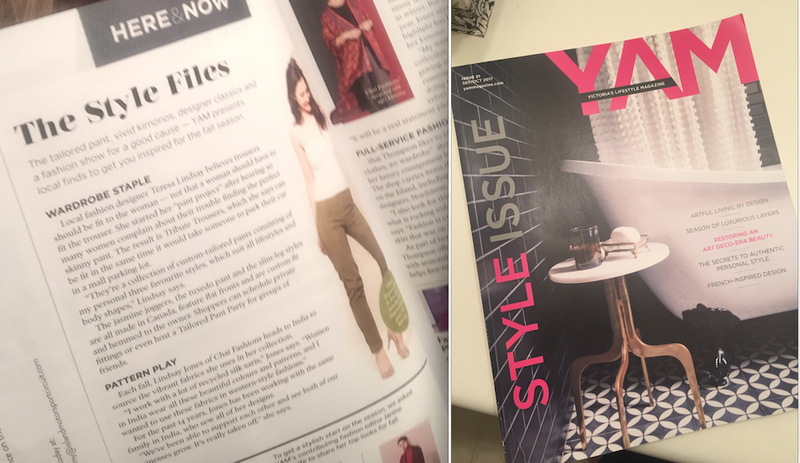 September October Issue of YAM Magazine features the latest from the pant collection Tribute Trousers. In a special HERE & NOW: STYLE release on Tribute Trousers YAM editor Athena describes how the pants are custom fit and quoted designer Teresa Lindsay for the many reasons these pants are her hot new venture. Pick up your copy of YAM MAGAZINE.